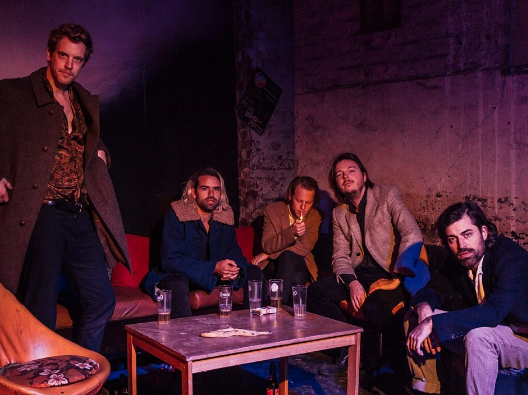 With the release of their forthcoming album Fever finally due for release this Friday, Belgium-based band Balthazar has shared another sneak preview with their glorious new track ‘Wrong Vibration’. Their latest release follows in the footsteps of ‘I’m Never Gonna Let You Down Again’, which skyrocketed to the top spot on Hype Machine’s charts. ‘Wrong Vibration’ sees Maarten Devoldere on lead vocals, with Jinte Deprez jumping in with stunning harmonies. When you blend together their poised vocals with the winding nature of the instrumentals, the final product is magnetic. 'Wrong Vibration' also sees the band experiment with mood, bringing to life a shadowy feeling that washes over the track. With ‘I’m Never Gonna Let You Down Again’ and now ‘Wrong Vibration’, Balthazar’s album is set to be a special release for the band and we’re eager to hear what else they have in store on Friday.